Peter Muia (Class of 2003). The idea that gave birth to the (‘BMG’) is traced to 2015. By the time the AHS’s 90th Founders’ Day was marked on 6th March 2016, the members of the BMG had already committed themselves to raising money under the AHS-OBC’s ‘90@90’ campaign. BMG went on ahead to climb Mt. Kenya, to Lenana Point on 22nd April 2016 and Mt. Kilimanjaro to Uhuru Peak on 22nd September 2016. BMG crafted and ran a campaign targeting the networks – personal, professional, business and AHS alumni – of the individual members of the BMG to raise funds under the Mountain Challenge banner. 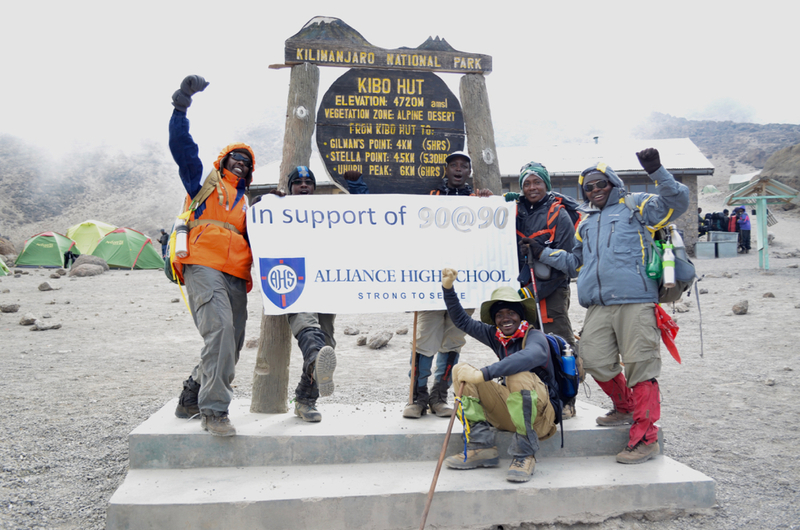 The Mountain Challenge raised KShs 1,821,908 in cash from over 200 benefactors, old boys and friends. That money is today under the stewardship of the Alliance High School Endowment Fund, and income from the capital invested will be distributed as ‘BMG Scholarship’ to deserving students at AHS. 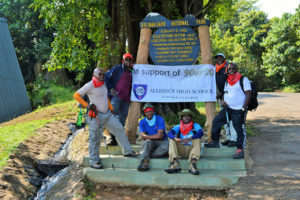 Encouraging Old Boys to live up to the ideals for which the School was founded and to put into practice the motto of the school “Strong To Serve”.